Safety in fueling systems cannot be compromised. That is why we fully support the products that we sell to ensure you have a piece of mind as an end-user. Afterall, we are travellers ourselves. 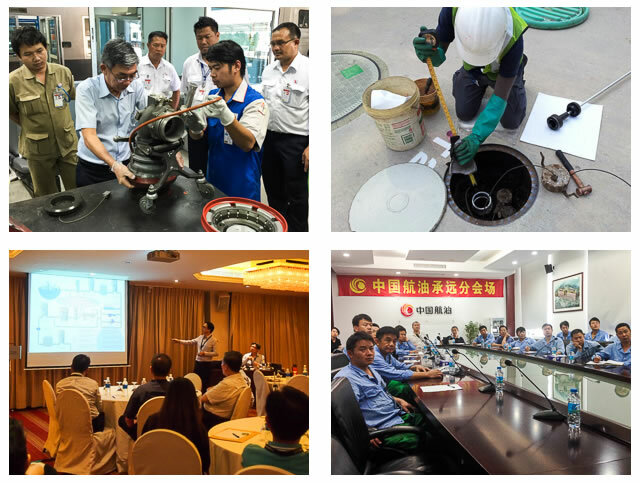 We offer on-location technical training services or at our facility in Singapore to ensure that your maintenance operation is in compliance with the latest operating standards. Our direct access to industry experts ensures that you can rely on us for the latest updates and information. For fueling systems in Singapore, our team of technical specialist is also available around the clock to ensure your operation runs smoothly with minimal interruptions. As well as to give you a piece of mind. Please contact us for more information on our training & support services.